Metal nanoparticles play an interesting role both in nature as well as in the area of nanotechnology. With the number of publications mushrooming in the different areas of nanotechnology not only in the core areas of nano-materials, but meanwhile also in many specialized areas, this monograph on nanoparticles is filling the existing gap in the area of nanoparticles, above all in metal nanoparticles. The rapid progress in the area of nanoparticles in general and in metal nanoparticles specifically absolutely justi-fies a monograph in this expanding field. The various applications of nanoparticles make them very useful materi-als or precursors for many processes. Interestingly, the great variety of nanoparticles is not yet reflected in the literature accordingly in this currently very active research field on a global scale. However, one is able to sense the trends and anticipate future directions in this exciting area. This book covers a variety of different topics in this novel area that are reflected in the chapters and is focusing predominantly on metal nanoparticles. The first chapter is devoted to the synthesis of nanostructures in aqueous media. In the second chapter, surfactant-based synthesis methods for metal nanosystems are covered. In the third chapter the microemulsion-mediated synthesis of nanoparticles is considered. Chapter four handles the synthesis of metal nanostructures by photoreduction. The general aspects of self-assembly of nanostructures are discussed in the chapter five. 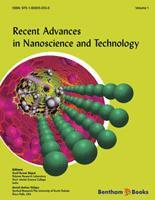 The core topic of the monograph, metal nanoparticles, is contained in the sixth chapter. There, the different synthesis approaches to metal nanoparticles and polymer metal nanocomposites are highlighted. Finally, in the last chapter, three-dimensional networks based on hydrogels are presented as nanocarriers for metal nanoparticles. In conclusion, this monograph is a valuable source for scientists, researchers, and students, who are interested in the area of metal nanoparticles and the latest developments in this interesting and important field. Kurt E. Geckeler, M.D., Ph.D. The word “nano” has become very popular throughout the world and it has brought revolution in the traditional concept on material dimensions. Nanomaterials are defined as materials that have dimensional size on a nanometer scale of 1-100 nm and exhibit distinct physico-chemical properties than bulk materials. Scientists, to some extent, believe that nanoparticles constitute another state of matter! Nanostructure materials resolve a number of common problems associated in the fields of industrial, engineering and biomedical sciences. These materials are being utilized in various applications including bio-markers, solar cells, electronic devices, advanced ceramics, new batteries, engineered catalysts, functional paint and ink, magnetic resonance imaging, targeted drug delivery, and lighting technologies, etc. As nanoscale devices have become more of a commercial reality, the industrialization of nanoscale materials has been limited by the need for new material compositions and the development of high-throughput automation for materials preparation. The formation of nanocrystals is notorious for its complexity and requires long reaction times, in the order of hours. However, such large-scale reactions exhibit inhomogeneities in the growth process by thermal process, which produce poor nucleation and therefore broaden size distributions. Chemical solution methods have been widely used to produce nanostructured materials, and can be applied to achieve monodisperse nanoparticles with controlled size and shape. There is no general strategy to make nanoparticles with narrow-size distribution, tailored properties, and desired morphologies, which could be universally applied to different materials. It is believed that nanoparticle formation follows the classic LaMer mechanism, which suggests a short burst of nucleation followed by slow diffusive growth, favoring formation of nucleation followed by slow diffusive growth, favoring formation of monodisperse crystalline nanoparticles. However, the regulation of the size feature, surfaces and interfaces are crucial components in the synthesis of nanostructured systems. Each specific synthetic route of nanoparticles dictates their usage for a particular filed of application. Therefore, identifying novel methodologies to prepare monodisperse nanoparticles by utilizing natural resources and those developed products can directly applicable for bio-medical applications due to no harmful reagents involved in the preparation processes. The present book deals with various advanced strategies, such as, surfactant based synthesis, microemulsion mediated synthesis, self-assembly process, polymer and hydrogel template synthesis, and natural resources based synthesis, that have frequently been followed to fabricate nanostructures of required size and shape, and functionalities to enable them to be used in a wide spectrum of industrial, biomedical and technological applications. It is intended to give readers a clear picture of nanoparticles synthesis by various methodologies as well as new ideas or suggestions on the creation of novel nanostructure materials to improve the performance of the advanced functional nanomaterials.